The Schweizer broschur technique produces extreme flatness and a special aura. The cover is glued to the last page of the book block, but not to the first. A Brillianta linen band is glued to the spine. The Schweizer broschur technique can be applied to both the sewn and the adhesive version. The sewn version is also used without the linen band, in which case the spine is glued with hot-melt glue and when the cover is opened, the stitching and the turns of the sections are visible. 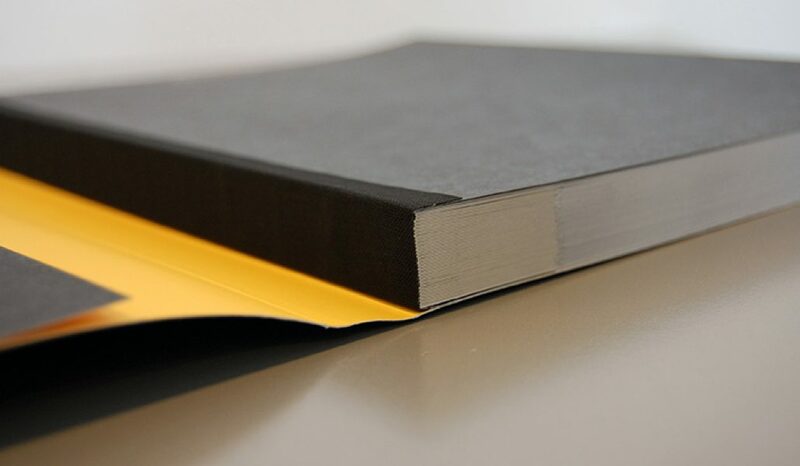 The spine of the cover remains straight during use; it does not acquire ugly creases. There are no scores on the front of the cover, though that is the case with other techniques that produce good flatness (Sewn Otabind).